KAI MYKKÄNEN (NCP), the Minister of the Interior, has proposed that asylum seekers be required to complete a test on the culture and society in Finland. 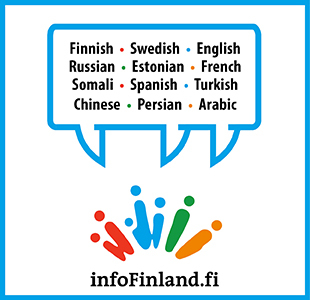 All over 16-year-old residents of reception centres are currently required to attend a course designed to familiarise them with the basics of Finnish culture and society, and sign the course certificate to express their commitment to following the rules. “Participating in the course is not enough, but we must also make sure the contents of the course are being internalised,” underlined Mykkänen. The Ministry of the Interior, he added, has consequently earmarked funds in its supplementary budget for piloting a computer-based test in state-operated reception centres. The course curriculum would also include videos about the basic rights, criminal code and penalties imposed for criminal activity produced as part of a joint project between the reception centre in Oulu, National Police Board and Police University College. “The course test could make sure in the future that the applicants have paid attention in class, read the course materials and watched the videos. It has to be perfectly clear, for example, that under the law an under 16-year-old can never give consent to sexual contact with an adult, but that it is always a crime with serious consequences,” said Mykkänen. “All asylum seekers would have to complete the course immediately after arriving in Finland,” he added. Mykkänen also estimated that experiences from the pilot could be later utilised in developing the processes for granting permanent residence or Finnish citizenship.